As South East Queensland has developed, local councils have undertaken ongoing ecological restoration work in partnership with the community to maintain, enhance and protect our natural environment and its biodiversity. Restoration work controls weeds, re-establishes wildlife corridors and assists the recovery of ecosystems that are degraded, damaged, or destroyed. A policy document providing a head of power for the subsequent guidelines and manual. 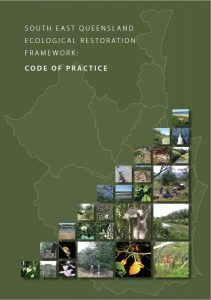 The code of practice reflects the SEQ policy environments where it is to be housed. A decision making tool to guide users to the most appropriate course of action in their project. This document links to current best practice and some of the examples demonstrated in the manual element. A technical but easy to use guide to all aspects of ecological restoration. 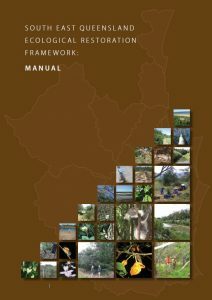 This document is reflective of current best practice and provides the minimum acceptable solutions to ecological restoration. 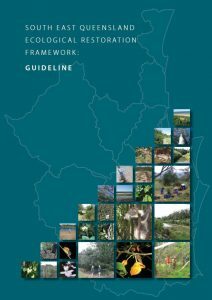 The guideline applies to anyone undertaking ecological restoration works in South East Queensland, including council employees and contractors, other government organisations and utility providers, volunteers, community groups and private landowners.